After all the miraculous happenings of the story of Purim are done, and Mordechai and Esther have saved the day, the Megillah (the Book of Esther) tells us that the Jewish people reaffirmed their commitment to Judaism. Every Purim at the Jewish Marriage Institute we focus on refreshing and reinvigorating marriages. One of the best ways to do this is by making a big effort to make regular time when you and your husband/wife can have some special time together. 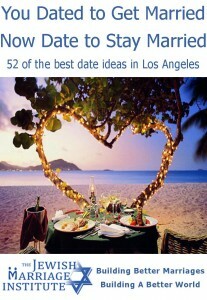 Date night or day, is a chance to connect and have fun together, it is not when you talk about bills, carpool or the dishes. 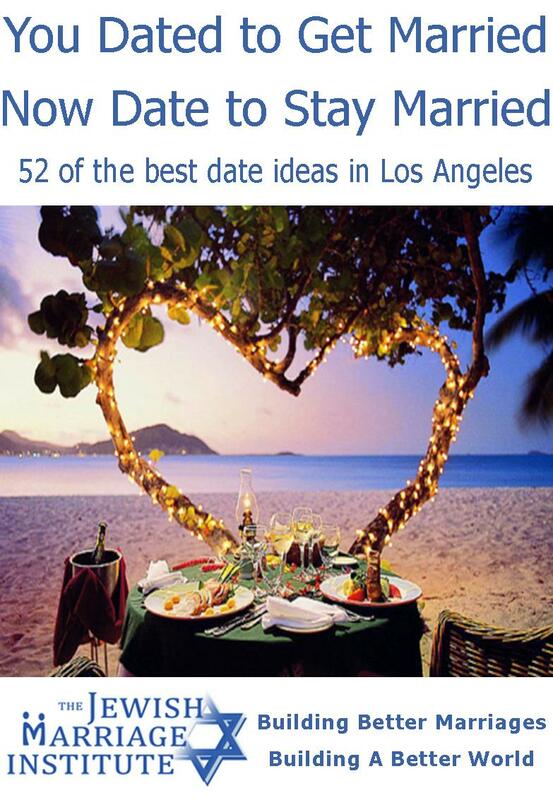 We have put together 52 (one a week) ideas of what you can do on your date, we have focused on our hometown of Los Angeles, but I am sure the same opportunities can be found where you live too. If you would like a hard copy please send me your address. Go wild, be adventurous and enjoy each other.